locating your family to the DC metro area, you have long list of To Do’s. One of the most important parts of your transition will be identifying a pediatrician. Bethesda is clearly not the dark side of the moon and there are lots of good doctors to choose from. However, I want to share my favorite pediatrician with you – and the group with which he practices. When my first child was born, I did not use Spring Valley Pediatrics at Massachusetts Avenue and 49th Streets, NW, opting instead for a pediatrician nearly in my back yard. When my daughter was born, I returned to that same doctor, but I didn’t have the same good feelings about him that I had felt before. When he missed the fact that my daughter had cystic fibrosis, I knew that we had to find a new doctor. We switched to Spring Valley Pediatrics nearly 16 years ago and have been delighted ever since. 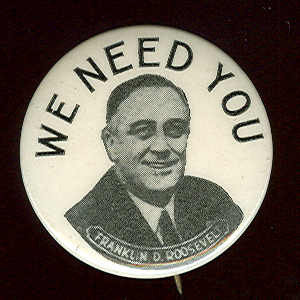 Spring Valley Pediatrics Predates Even Franklin Roosevelt! Until I decided to write this blog, I didn’t know that Spring Valley Pediatrics dates back to 1930 when it was founded on Cathedral Avenue by Dr. Charles Crawford and Dr. Montgomery Blair, Jr. Their practice was one of the first pediatric practices in the Washington area. Dr. Blair, a native Washingtonian and member of an esteemed American political family, was an early pioneer in pediatrics. For the trivia buffs among us, it is interesting to know that his great grandfather, Francis Preston Blair, Sr., was a part of President Zachary Taylor’s “kitchen cabinet”. His grandfather, Montgomery Blair, Sr., was the postmaster general during the Civil War. The family’s original home, across the street from the White House and now is known as Blair House. 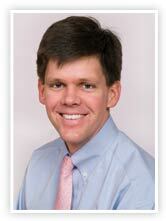 Dr. Blair graduated from Harvard Medical School and trained at Boston’s Children’s Hospital. From the beginning of his practice in 1930, Dr. Blair enjoyed great success as a pediatrician. His practice in Washington was interrupted by World War II when he did a tour of medical service duty in Europe, but Dr. Blair rejoined the practice and became active in the expansion and growth of Children’s Hospital of the District of Columbia, now known as Children’s National Medical Center. Dr. Blair became Medical Director of Children’s Hospital in 1946, combining administrative and pediatric expertise for the first time in the role of hospital director. In 1947, as an outgrowth of his interest in clinical research, Dr. Blair founded and served as the first president of The Research Foundation of Children’s Hospital which, under his leadership, contributed significant scientific advancements in the growing field of pediatrics. After a distinguished career, Dr. Blair resigned his positions at Children’s Hospital in 1954.
expert in childhood allergy, eventually becoming chairman of the Department of Pediatric Allergy at Children’s Hospital. He was subsequently joined in clinical pediatric practice by Drs. Gordon Daisley and Beale Ong, who continued the tradition of active clinical practice with extensive commitments to Children’s Hospital and advancement of the field of pediatrics. Dr. Ong, with training in both pediatrics and pediatric neurology, served as chairman of the medical staff of Children’s Hospital and served as consultant to several schools and community organizations throughout northwest Washington. He also was the author of a parenting self-help guide, “The Doctor’s Call Hour”, which was popular in its time. Dr. Daisley retired from active practice in 1985, Dr. Howard in 1988 and Dr. Ong in 2008. (Dr. Ong was a fabulous pediatrician and very patient with anxious parents!) I called him one time in a panic from New York City with a sick child. He patiently directed me to Columbia Hospital where I was able to see a pediatrician! Dr Franklin Stroud joined Drs. Howard, Daisley and Ong in early 1970’s and maintained a busy practice in general pediatrics with a special interest in learning disabilities until his untimely death in 2008. Dr. Stroud treated my daughter for many years, and I can only say that he was the Best! Now we see Dr Peter Warfield, who my daughter will swear is the best doctor ever! Dr. Warfield, who is older than he looks, is a relatively recent addition to the practice, but he is a native Washingtonian, and attended Episcopal High School in Alexandria. Virginia. He completed his undergraduate studies at the University of Richmond and went on to complete a Masters of Public Health at the George Washington University. Prior to medical school, Dr. Warfield worked in public health and health education. He graduated from University of Rochester School of Medicine and Dentistry in Rochester, New York. His Pediatric residency was at The Golisano Children’s Hospital at University of Rochester’s Strong Memorial hospital. With a background in health promotion and disease prevention, Dr. Warfield emphasizes health education in his practice. He is especially interested in childhood development as well as sports medicine and adolescent medicine. Dr Warfield is a Fellow of the American Academy of Pediatrics and a member of the Washington, D.C., Osler Medical Society. He has been recognized as one Washington’s “Top Doctors” by The Washingtonian magazine. He currently serves as the Consulting Pediatrician for St. Albans School – but he is really wonderful with teenage girls – even as they head off to college! Board Certified, Dr. Warfield maintains hospital privileges at Sibley Memorial Hospital, Georgetown University Hospital, and Children’s National Medical Center. He is now available for routine well and acute care visits for newborns through college age. Moving to or from Bethesda is easy – You pick up the phone and call JK Moving and tell them that the Lise Howe Group sent you. That is the easy part. The rest of it is difficult – finding a home or selling a home. Finding the school, finding the dry cleaner, the pediatrician, the hair salon, the butcher. AllaboutBethesda.com is devoted to helping with that process of relocation – and extrication. If you are moving to or from Bethesda, give the Lise Howe Group a call at 240-401-5577. Then sit back and enjoy Howe Real Estate Should Be!